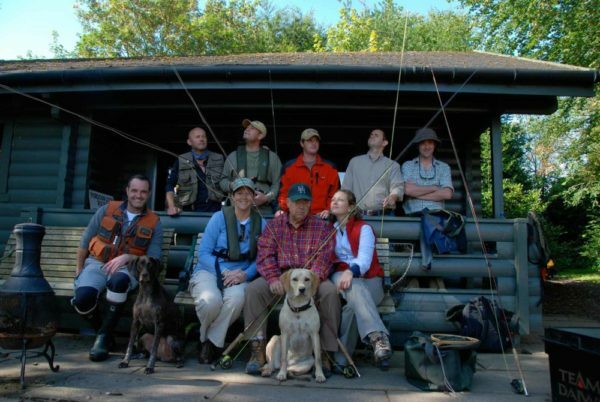 Team building fly fishing experience days are a hugely beneficial experience for developing your employees, leaders, and managers into a high performing and motivated group. 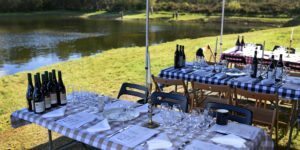 If you’re tired of conventional events and looking for inspiration, this is a unique proposal. 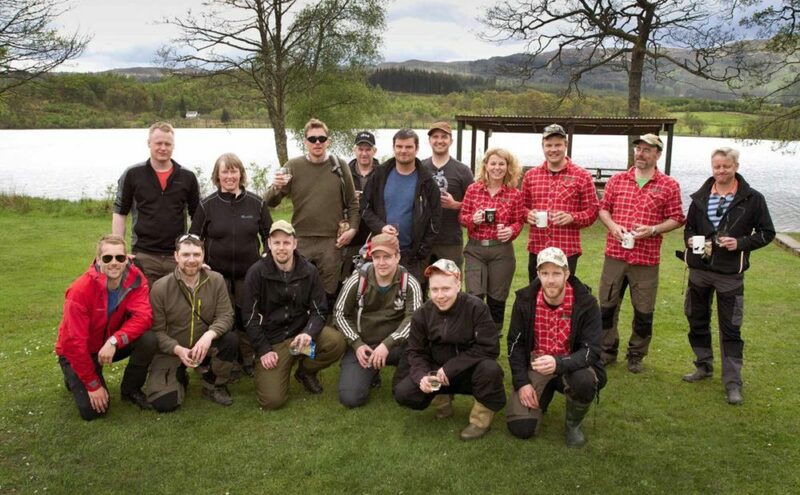 A Teambuilding fishing day brings people together in new outdoor spaces and enables them to learn new skills in the Scottish Countryside. Staff will rekindle improved relationships with people they already know. 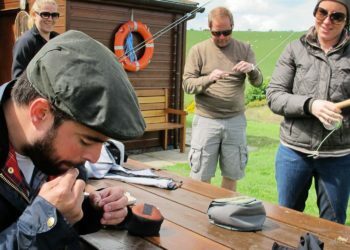 Our events are fresh and unique and our team has the experience and imagination to design corporate fishing days with flair. 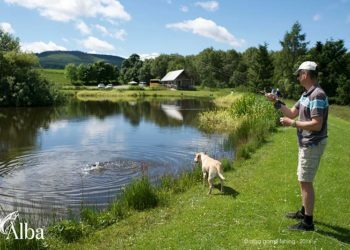 Fishing team building days are fully bespoke and complimented with hot lunches using seasonal and locally sourced produce. 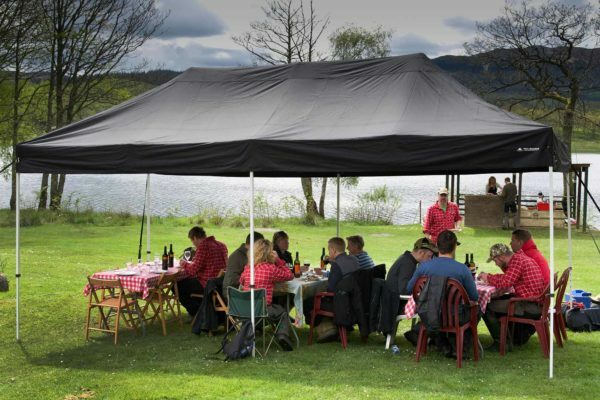 Food is served under large gazebos or riverside huts depending on the group size. We can handle up to 60 pax. Fishing permits for all guests. Pro photographs of the day taken on Nikon FX-format cameras and prime lenses. 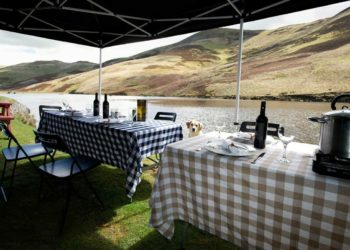 Gourmet cooked lunches served by the loch-side, with wine and refreshments, on fully dressed tables. Professional gazebos (when fishing huts are not available). 1. Boeuf bourguignon slow cooked Aberdeen Angus beef in red wine with minted peas and sautéed organic potatoes. 2. Fragrant Thai red curry with Coconut, Lemongrass, Galangal, fresh lime, coriander and Holy Basil. Served with papads and steamed wild basmati rice. 3. Wild Highland Venison with tangelo, cranberry and port reduction and served with steamed greens and potatoes. 4. Borders organic shoulder of lamb slow cooked in Moroccan spices. Fresh tomatoes, cinnamon, cumin, coriander, ginger and organic dried fruit. Served with couscous or wild basmati rice. 5. Trout slow baked with Tuscan Olive oil organic lemon and bay leaf served with roasted vegetables and a fresh tomato salsa. 6. Cullen Skink, traditional haddock chowder with undyed smoked Haddock, cream, parsley and organic potatoes.